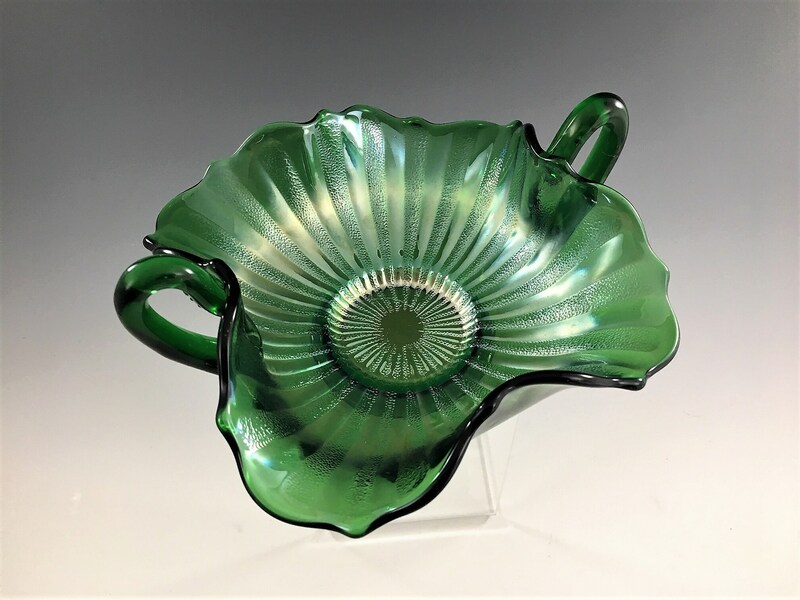 Featured is a beautiful green Carnival Glass Handled Bowl or Bonbon Dish. 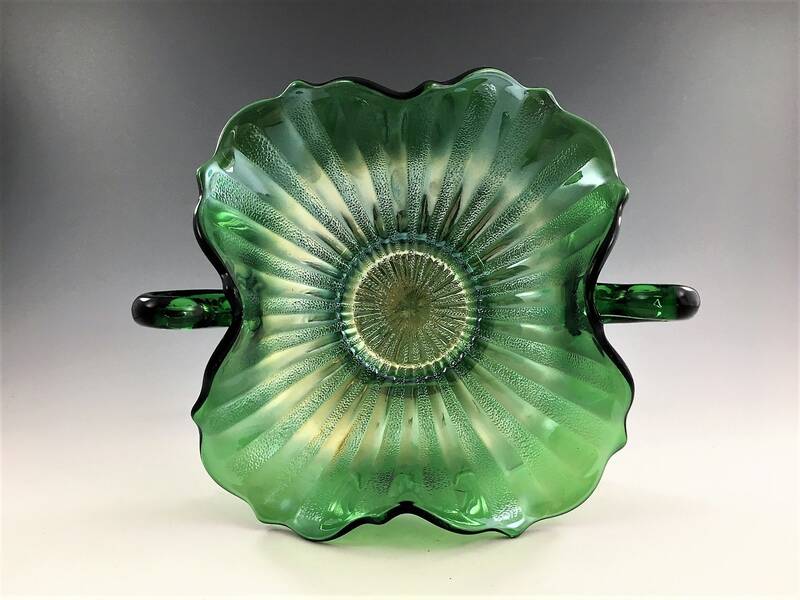 This piece is a product of Fenton Glass and part of their Stippled Rays pattern. 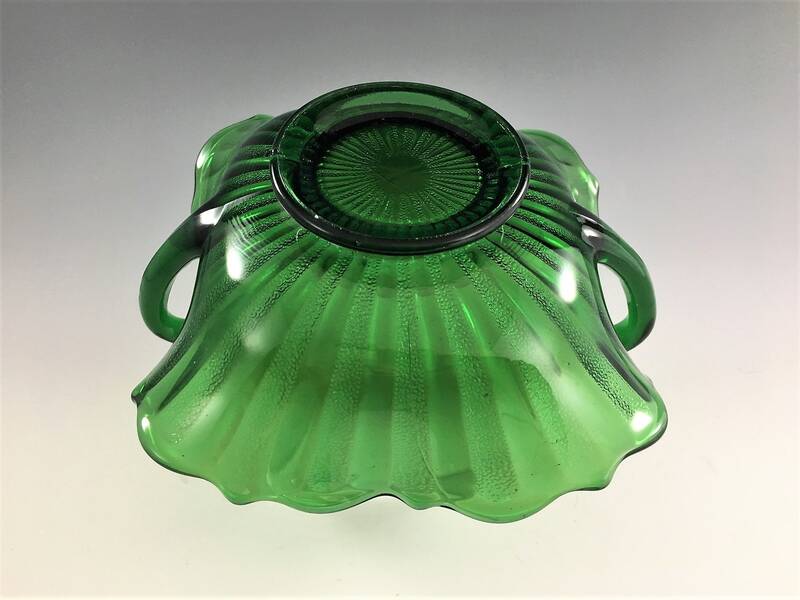 It measures about 6 1/2 inches in diameter (handle to handle) and stands about 2 1/4 inches tall. 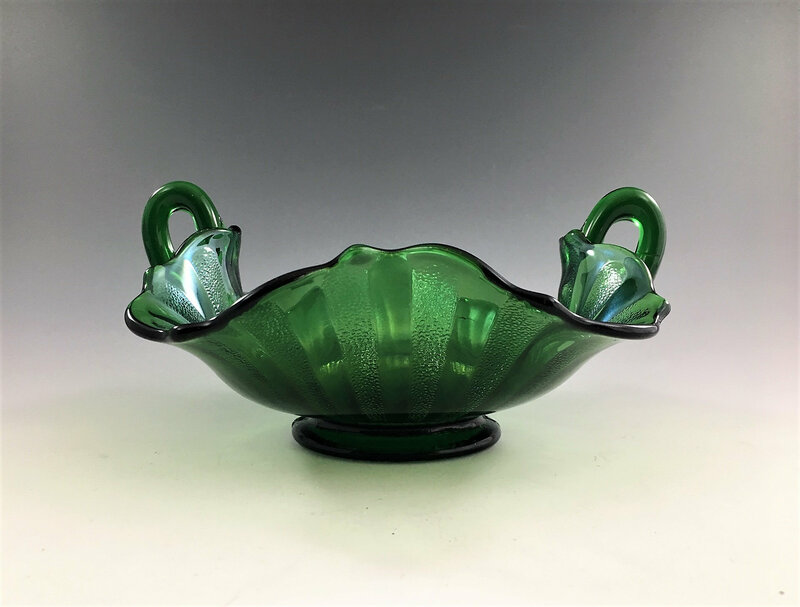 It has a great iridescent green color and nice curves. It's in excellent condition with no chips or cracks. 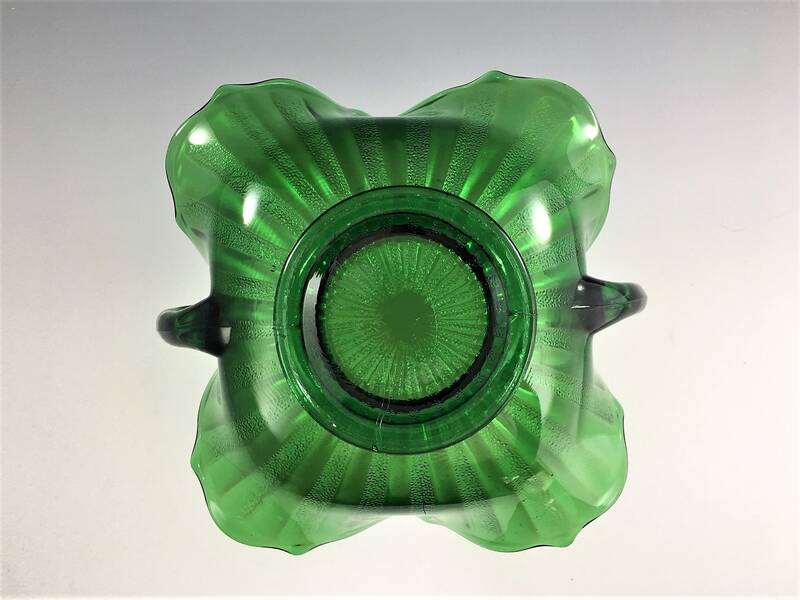 It would make a wonderful addition to your vintage or carnival glass collection.